Indivigital | Fact check: How widespread is fake news and how much influence does it have on public opinion? Fact check: How widespread is fake news and how much influence does it have on public opinion? In the aftermath of U.S. Special Counsel Robert Mueller’s investigation into interference in the U.S. Election by 13 Russian individuals and 3 Russian organisations, media and officials have been quick to make social media platforms a high profile target for criticism and reform. The investigation discovered that the Internet Research Agency –- a defendant organization in Mueller’s indictment – “had a strategic goal to sow discord in the U.S. political system, including the 2016 U.S. presidential election” and operated with a monthly budget of $1.25 million dollars. The indictment states that the budget wasn’t solely direct towards U.S. activities; it was also spent on activities in other countries and on employee salaries and bonuses. How widespread is fake news? Facebook’s own internal investigation claims the Internet Research Agency spent $100,000 on digital advertisements between June 2015 and May 2017 (before and after the U.S. election), which suggests and average monthly ad spend of $4,166. 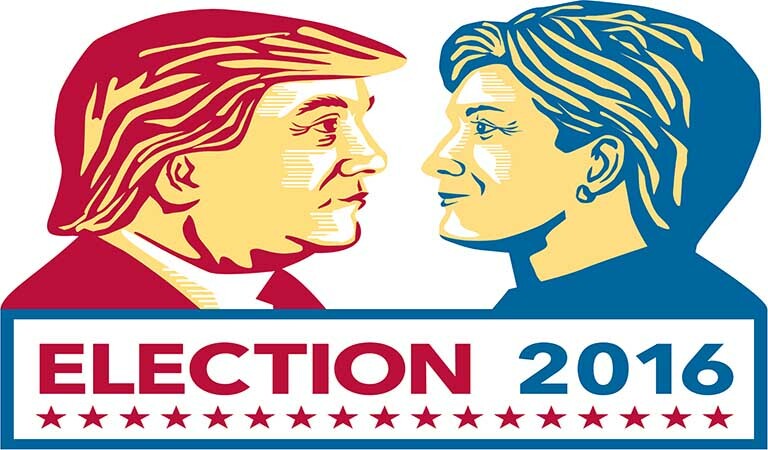 To put this in context, the Trump and Clinton campaigns spent a combined $1.415 billion on digital advertising during the 2016 election period, according to data from Borrell Associates. Borrell Associates also estimates that roughly $2 out of every $5 spent on digital advertising went on social media, which suggests both campaigns spent north of $500 million on social media during the election cycle (in contrast to the Internet Research Agency’s $100,000 spend over a period of close to two years). To add further context, and according to a report from AdAge, the world’s 100 largest advertisers spent a combined $267 billion on advertising in 2017. It’s important to note that digital advertisements typically work on a cost-per-click basis (advertisers only pay for clicks not views) and adverts which amass tens of thousands of views can amass relatively few clicks and little engagement. The average click-through rate (CTR) – the proportion of people who clicked an ad they viewed – for Facebook advertisements in 2017 was 0.90%. That means if an ad is shown to 10,000 people, it will only be clicked by 90 of those who viewed the ad. It’s also important to note that as much as 52% of internet traffic is from bots i.e. its automated traffic. This can take many forms, and isn’t always malicious. For example, search engines like Google rely on sending automated “crawlers” to retrieve content from websites. Facebook’s internal investigation reported that “Russian ads” reached 10 million U.S. users, however it doesn’t provide any data on engagement e.g. how many users clicked on or interacted with the ads. It also reports that 25% of these ads were never seen by anyone. It also states that 56% of the ads were served after the election and 25% of the ads weren’t geographically targeted. According to the BBC, Facebook also stated that Russian organizations created 80,000 posts which reached 29 million U.S. users directly over a period of nearly 2 years. This data refers to “free” activity on a Facebook page, as opposed to paid activity. Facebook’s reach metric is a measure of the number of times a post appears in a unique user’s timeline i.e. it doesn’t signify the number of people who clicked on, commented on or liked the post. To put this in context, 3.3 million posts were made to Facebook every 60 seconds in 2016 (which amounts to 198 million Facebook posts per hour), in contrast to the 80,000 posts made by the Internet Research Agency in nearly two years. According to research from Forrester, just 0.22% of a brand’s Facebook fans (defined as a person who likes a Facebook page) engage (defined as clicking on a link, making a comment or liking a post) with that brand’s page on Facebook (this is data from 2015). In other words, if a Facebook page has 1 million likes any post it makes will on average only be engaged with — not merely seen — by upwards of 2,200 people i.e. even if users see the post it doesn’t mean they interact with it. Reaching people isn’t the same as engaging with people e.g. 100,000 people may drive past a billboard on a busy road, however not all of them will focus on it and fewer still will engage with it. How influential is social media? According to data from Pew Research, “5% of web-using adults in the USA have a lot of trust in the information they get from social media.” According to the same study, this level of trust is much lower than trust in national (20%) and local news (25%) organizations. A separate study from Pew Research also finds twice as many users distrust science posts on social media (52%) than trust them (26%).